LID at Last in L.A. 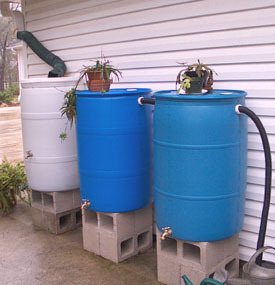 Rain barrels will be sprouting up all over L.A. now under a newly approved Low Impact Development ordinance. Today the city of Los Angeles took a giant step forward on its long-promised goal to green itself — one new development at a time. After three years of negotiations, hearings, educational forums and technical discussions, the City Council voted 13-0 to support a Low Impact Development ordinance. The vote means that nearly all new development and redevelopment in Los Angeles will have to treat rainwater as a resource rather than just a flood risk by early next summer. The approach is groundbreaking (or concrete breaking) in its wide-ranging application to all significant new and redevelopment – even single family homes. 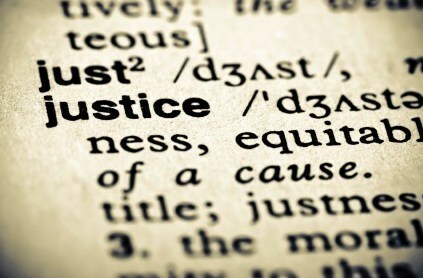 So what does it mean from a practical point of view? All new and redevelopment must capture and reuse or infiltrate 100% of the runoff generated by a three-quarter inch rain. As a result, development will be greener, flood control risks and runoff pollution will be reduced, and local groundwater supplies will be augmented. Single family homes will only have to include rain barrels, cisterns, rain gutter downspout redirects to landscaping, or rain gardens to comply with the ordinance. I’ve been going to temple since I was 3 years old. Although our family is very involved in the University Synagogue community, I’m certainly not a devout and strongly observant Jew. In fact, I always felt more Jewish by culture (lots of meals at Junior’s, Canters and Zucky’s growing up) than by faith. I’ve always been struck by the fact that so much of the local environmental leadership is Jewish (Andy Lipkis, Felicia Marcus, David Nahai, Adi Liberman, Fran Diamond, Madelyn Glickfeld, the late Dorothy Green, Sara Wan, David Beckman, Laurie David, and so many more). Clearly, the importance of social action in the community means a lot more than Tikkun Olam and Tu Bishvat. Yet personally, the environmental ethics and priorities of the local Jewish community has never strongly influenced or impressed me. Until recently. Israel is more like LA than I possibly imagined. 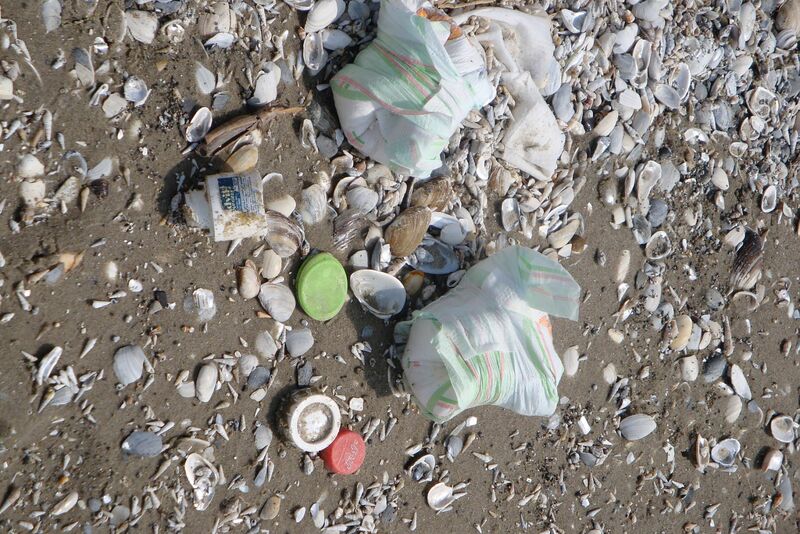 Both areas definitely suffer from the scourge of plastic pollution. 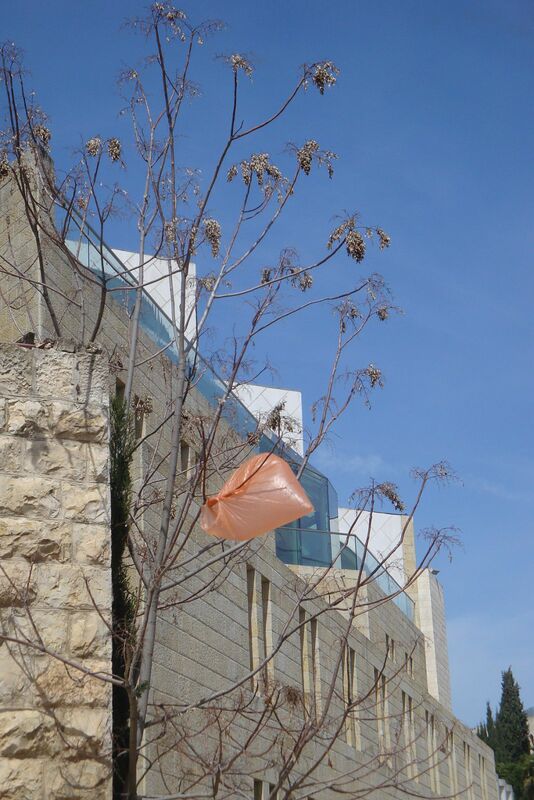 From the iconic Dome of the Rock and the Western Wall in the old city of Jerusalem to the shores of Lake Kinneret, one can follow the histories of three great religions through trash. 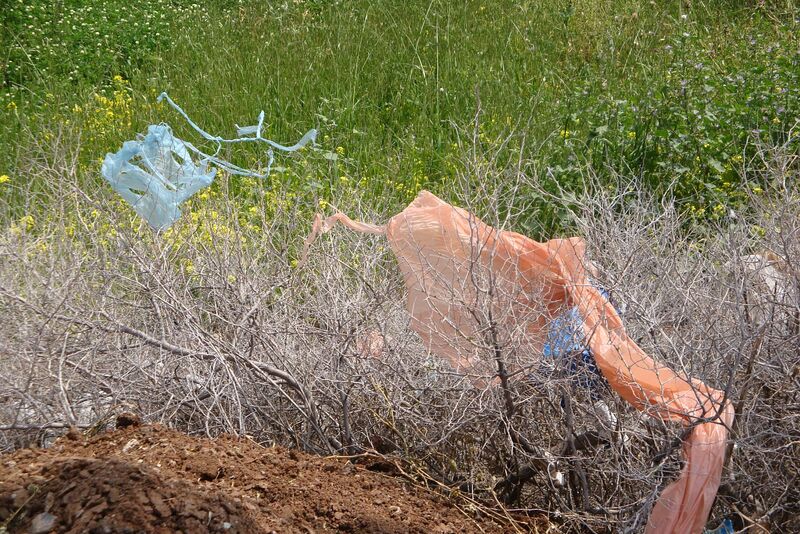 Important Muslim, Christian and Jewish historic sites were all tainted by plastic bags. 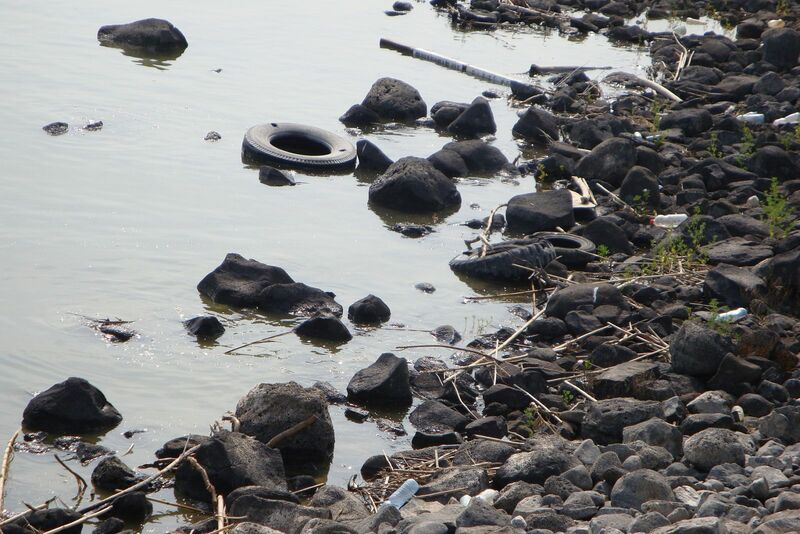 Nothing was more disgusting than seeing the dirty diapers along the shores of the Sea of Galilee. 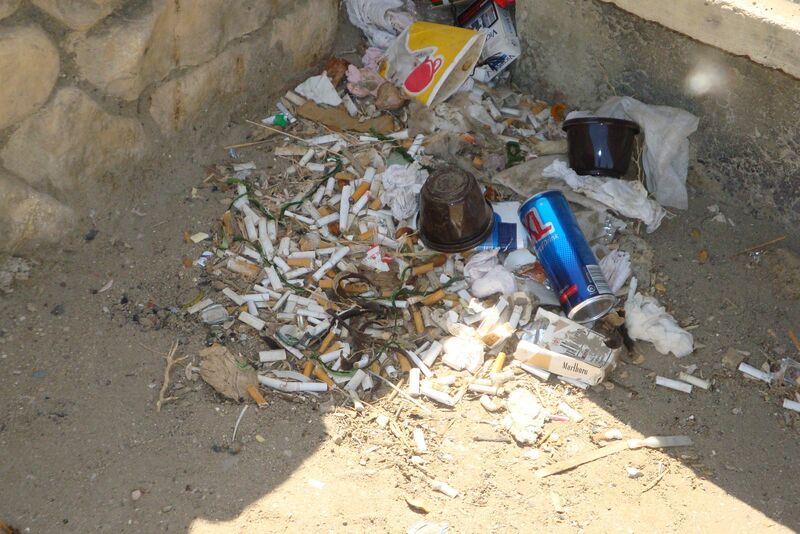 As a society, if we can’t protect and respect the holiest places on Earth, what does that say about humanity’s chances for providing effective environmental stewardship? 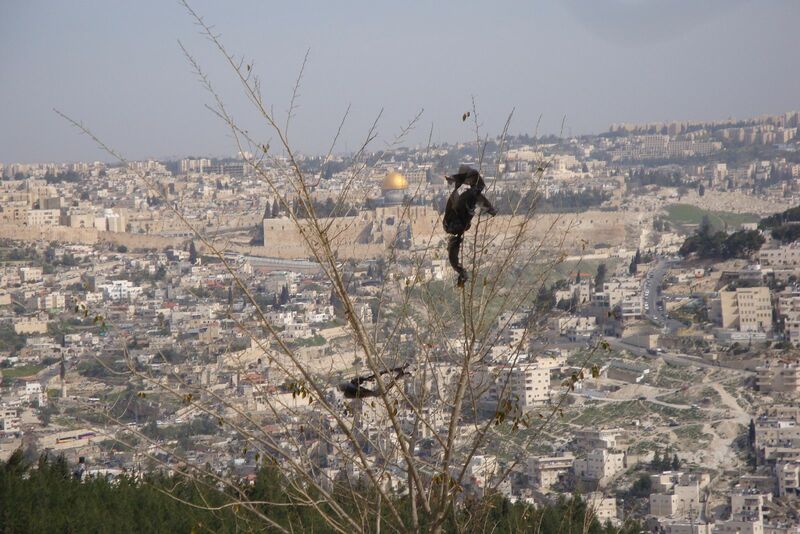 Note: This being the last of my Israel trip posts, you can read more at the Jewish Journal: No Easy Solution for Israel’s Water Problem. Yael Mason, an Israeli friend of mine from my UCLA days, is an environmental chemist with years of experience at Israel’s Ministry of the Environment. During my trip to Israel, Yael set me up on a river tour with the nation’s premier watershed management and river restoration expert, Eyal Yaffe. Yaffe and I explored the small Soreq River, which winds through farmland not too far from the city of Rehovot. He has been leading the effort to enhance the river, hoping to transform it from being a straight irrigation ditch (with farmland to the riverbanks) into a meandering stream with buffer zones of swales and olive trees. Tel Aviv's Yarkon River mirrors L.A. Many Americans first became aware of Israel’s polluted rivers after a horrific bridge collapse on the Yarkon River near Tel Aviv in 1997. An Australian athlete who fell into the toxic waters actually died from exposure to pollution. 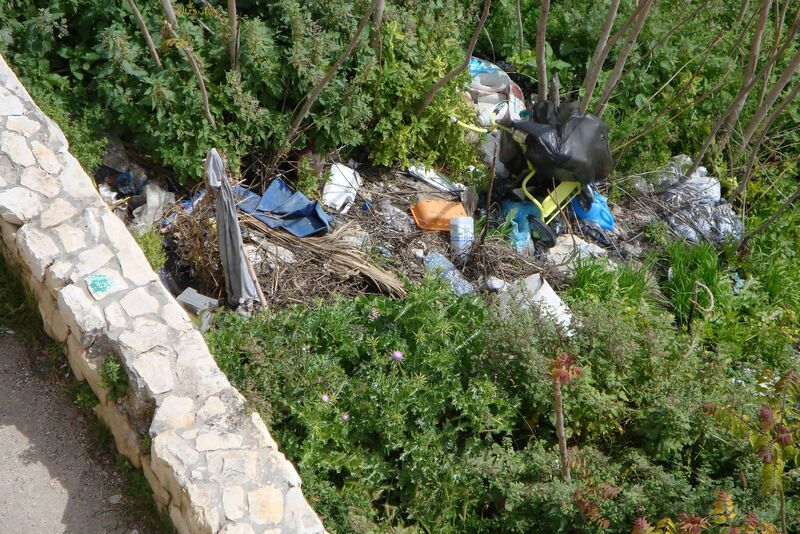 The catastrophic event catalyzed a movement to clean up and restore Tel Aviv’s major river and others in Israel.